On January 21st at the St. Louis Zoo, a Coquerel’s sifaka named Kapika was born! Its a very important birth for the endangered lemur species. Meet Kapika, a female Coquerel’s Sifaka lemur born on January 21st at the St. Louis Zoo. She is her mother Almirena’s fourth baby with father Caligula. After birth the newborn lemur latches to mom’s chest but after a few weeks moves to mom’s back, according to ARKive. The lemur species finish growing at one year old. Moreover, Kapika will be capable of leaping 30ft between trees. Furthermore demonstrating the hopping bipedal movement distinctive to it’s species. Most importantly, Coquerel’s sifaka are under active protection as endangered species. However due to its decreasing population, the species may soon be upgraded to Critically Endangered. Certainly, their primary threat is poaching. 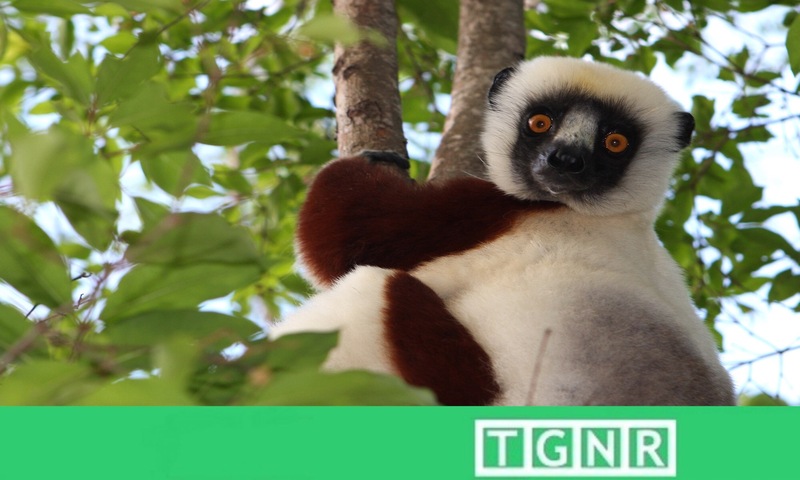 Hunting the lemur is considered taboo to Madagascar natives. However, newcomers do not share the same views. Furthermore, destruction of their forest habitat for agriculture has also decreased their numbers. Fortunately Kapika and her Coquerel’s sifaka family live at the international headquarters of the Madagascar Fauna Group. In short, they’re a cooperative between St. Louis Zoo – as well as others – and aquariums aimed at preserving lemurs among many other threatened Madagascar species. Sources: St. Louis Zoo website and St. Louis Post-Dispatch.